This is the Willis World Clock in the London Science Museum. The operation of this clock is extremely simple, with a twenty-four-hour moving disc in the centre and a separate minute hand below. The main face of the clock is laid out in sectors, with the names of all the more important countries and cities in the world indicated by arrows, and the time for each particular place is merely read cif against the appropriate arrow. The timing disc itself is clearly marked in a.m. and p.m. sections, so that, even when the twenty-four method of reading is not being used, there is no possibility of error. Those countries and cities where “summer time” arrangements are in force are printed separately in red type. For example, Great Britain and France have two positions, one at Greenwich time and one, for the summer season, on the mid-European time arrow. Needless to say, such a clock will be useful in working out E.T.A.s which are likely to be at or near nightfall, and also for timing the reception of both weather broadcasts and others required for D/F bearings. 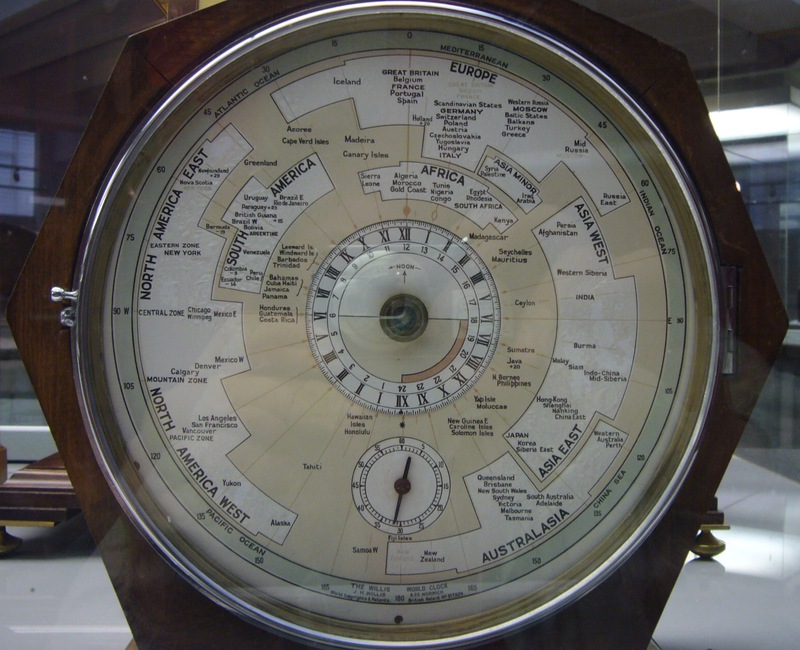 The world clock is obtainable from J. H. Willis and Company, Ipswich Road, Norwich, and the aircraft or small marine type, for instrument-board mounting, is priced at 137s. 0d. One of these – non-functioning, I think – was sold on eBay recently. You could have bought it for just £13. I stumbled across an interesting piece on YouTube recently. It has only a passing relevance to this site, but it was too cool to ignore. It’s from a contributor called cdk007, whose presentation is part video, part lecture, and part software demonstration. It explores an idea that was made famous by the Reverend William Paley, an 19th century English clergyman, who argued that, just as watches are too complicated to have arisen spontaneously and must have been fabricated by a watchmaker, so life on earth must have been made by an intelligent designer. The ‘blind watchmaker’ analogy has been explored both by evolutionists as an example of an illogical and fallacious argument in favour of some god-like creator figure, and by creationists as a – perhaps initially – plausible objection to evolution. Most famously, Richard Dawkins has persuasively argued the Darwinian side, pointing out, in his ‘Blind Watchmaker’, that the forces of natural selection can produce amazing complexity. cdk007 isn’t content to just point out the illogicalities of the creationist argument, though. He goes one step further, and examines the argument using a software simulation. I love the way his collection of mating clocks with mutating genomes manage to enter ‘the age of pendulums’, before evolving further into four-handed clocks. 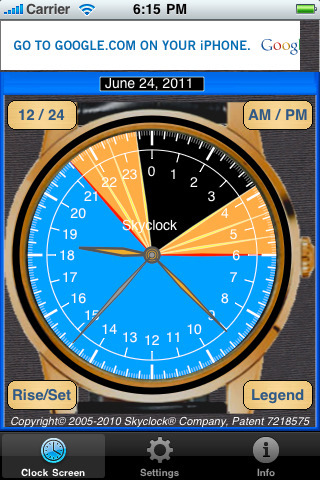 The clocks grown by the simulation manage to evolve – you guessed – a 24 hour dial! Notice here the number of seconds on the left-most dial – 86,817 is close to the number of seconds in a 24 hour day.